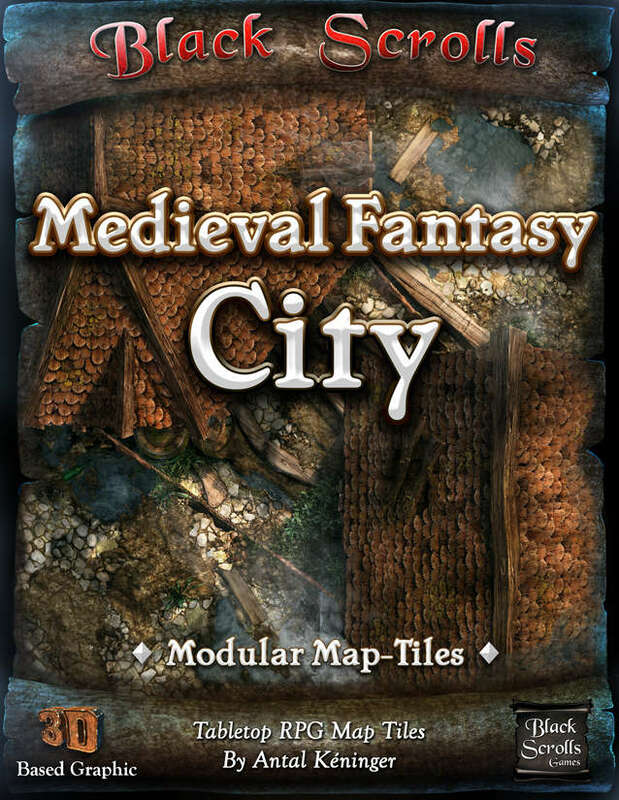 The Cities of the Black Scrolls - Moat tiles are finally here! Thanks to our awesome Kickstarter backers we had a chance to create this set. Thank you! 32 double-sided tiles that are containing the I, L, T, X, end forms with bridges. 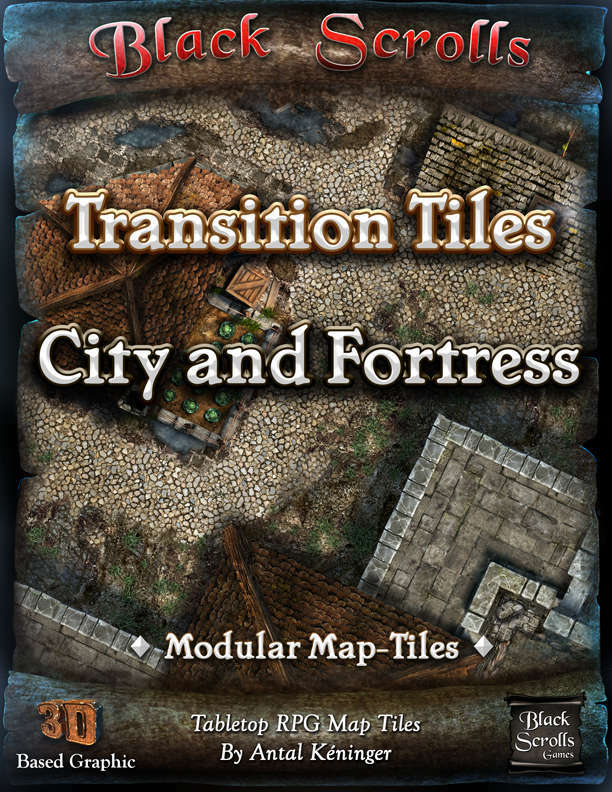 This set includes many double-sided, amazingly detailed 6x6 inch sized tiles in both physical and digital formats, and will provide you a more thrilling gaming experience while you are sitting around a table or having fun online with your friend. This is an expansion set that you can use as a river, too. You can use it with or without any additional materials but it will work perfectly with our Village and Fortress sets. 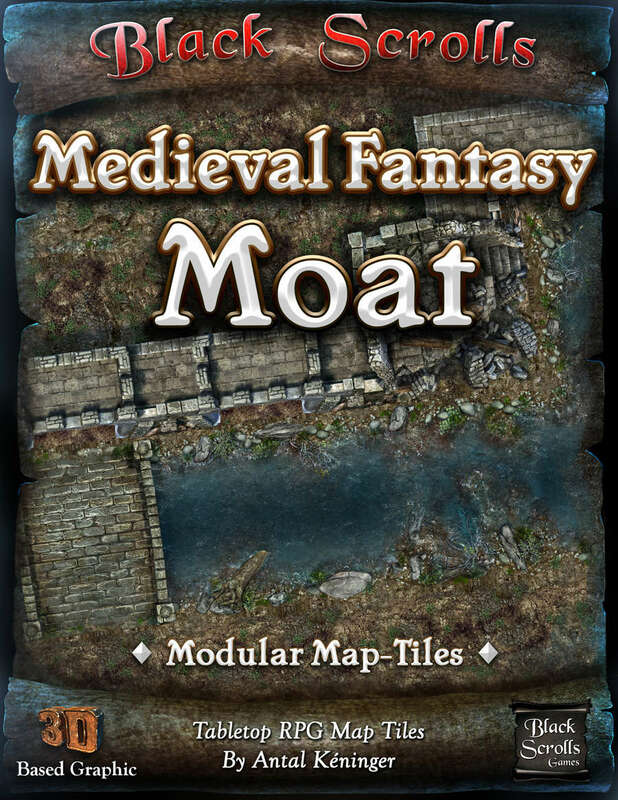 This set contains only the river/moat pieces! The areas are on 6 inches by 6 inches sized, double-sided tiles with seamless borders that make it possible to mix them with each other. Check the publisher preview under the cover for more details about the content! >>> This product will come with grid overlay in printed format, if you need the printed cards without grid lines please click here to add it to your cart. 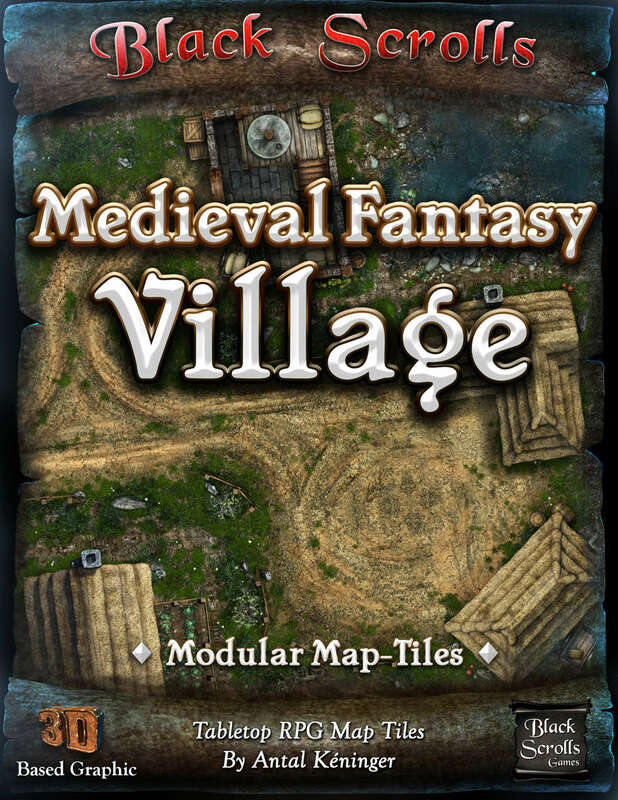 You will get 32, double-sided Village tiles. - 29 moat/river tiles with the straight, T, L, X and end pieces. - Double sided and UV coated durable tiles with the night version on their other sides where it is suitable. - You can draw on them with wet-erase markers! - The smaller cut-out elements like doors and corridors will not be pre-cut to keep our prices low but you can easily cut these few items around with sharp scissors. Detailed, lovingly crafted graphics which will make your gaming nights more thrilling! The design of the tiles is the result of our eight years’ experience we spent in the mobile game and tabletop game business. We hope that the 3D rendered graphic we use will represent a higher standard in tabletop gaming and provide a more thrilling gaming experience for our customers at a more affordable price. I've created my products because they make my work easier as a Game Master, and game sessions are more enjoyable with them. As usual, this set has become much bigger than I planned, but I didn't want to give you a half-finished product or earn money on later expansions. 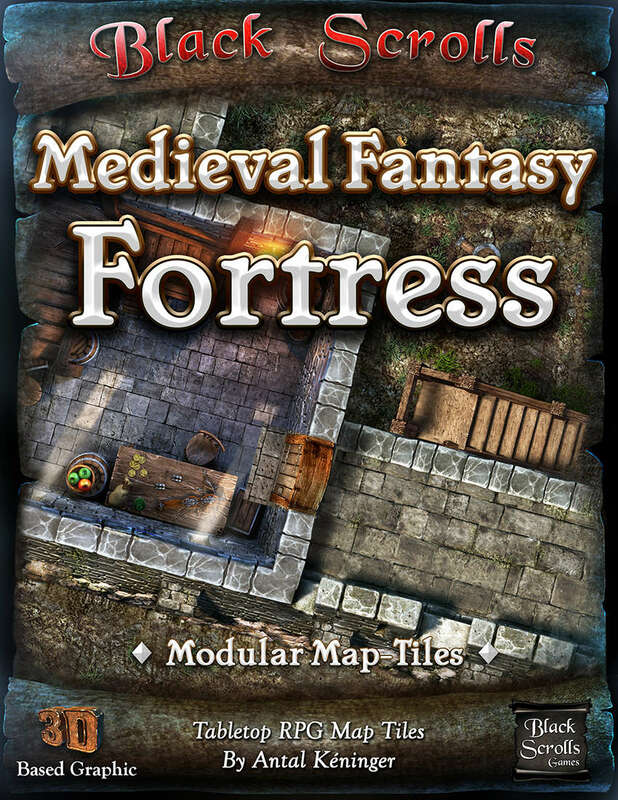 I've forged all of my experience and knowledge I collected as GM and 3D artist in the past years into these tiles and I hope you will enjoy them at least as much as I enjoyed working on them. If you still have questions, please read the FAQ below or write to me in the comment section, I will try to reply you as soon as I can. Have a good game, fellow gamers! - Can I write on the printed version? These tiles are finished with a low-gloss UV coating on both sides, which makes them water-drop resistant. You can write on them with wet-erase markers, you can remove them without any stains. - How can I attach the tiles to each other? You can easily attach them with transparent tape strains. Due to the finish of the surface, they will not remove the paint and will be almost invisible. Or you can use tablecloth, tiles will slide less on it. - Isn’t it too complicated to plan a map from these tiles? Not at all, I’ve attached printable draft pages that contains the tiles in B&W and in a smaller format. They also include the page number where you can find the tile. 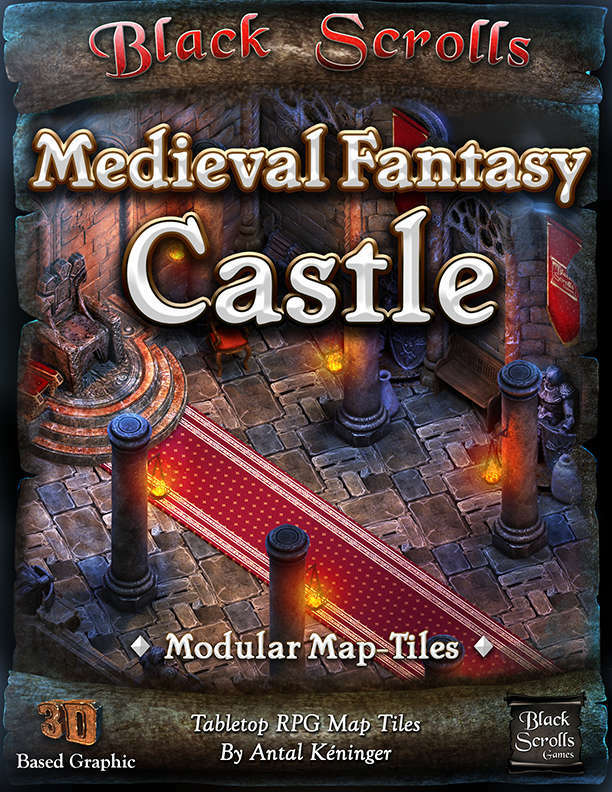 You can print and cut them out to plan your big map, and when you finish, you will see which tiles you need for your map and what page you can find them on. - I’m from Europe, can I still order printed cards? Hey, I live in Europe (Hungary), too! Because the tiles will be printed in the U.S., the only way to lower your cost of shipping is if you order more printed products from me, because you will get them in one package and shipping fee will not change. Look around among my products below, perhaps you will find something that you would also like to see on your tabletop.